P.E. 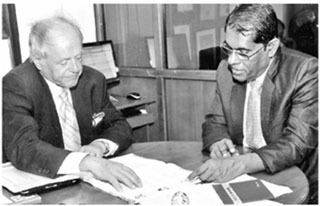 Mathew & Company (PEMCO) is a firm of chartered accountants in Sri Lanka established in 1958 which is committed to provide a wide range of professional services to Sri Lankan and foreign clients .Abounding experience in dealing with a diverse clientele in terms of economic activity, market exposure, legal constitution and operating environment and the competence and confidence of the company have been oriented to achieve the whole gamut of service requirement of any client. We uphold the finest traditions of consulting with sound business principles and practices to assist our clients in achieving the most successful business performance. We are well disposed to understand client needs, and have the technical knowledge and ability to meet present requirements and respond to ever changing new requirements. We offer a range of services in addition to the core services of auditing, assurance and taxation services which together serve as the foundation of our client relationship. 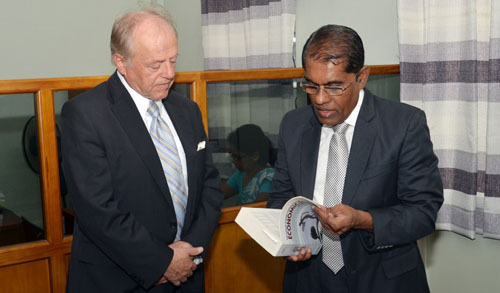 R.A. Jayaweera, the present senior partner who took over the reins in 1985 is a MBA from the University of Colombo, FCA (Fellow member of the Institute of Chartered Accountants of Sri Lanka) and FCMA (Fellow member of the Society of Certified Management Accountants of Sri Lanka).